BET (Black Entertainment Television) is one of the highest rated channels on cable TV. Many people are looking to cut the cord and save some money every month. But what if you don’t want to miss hit BET shows like Boomerang, American Souls, or Tales. How can you watch the BET awards live this June? Don’t worry. There are many ways to stream BET live online without paying for an expensive cable TV or satellite subscription. The most affordable way to stream BET is through Philo. Philo is a streaming service that offers BET and a ton of other top TV networks typically found on cable TV for just $16 per month. You can watch BET and other channels through Philo on up to three devices at the same time. They even include a cloud DVR so you can record your favorite BET shows. Philo is currently supported on Mac and PC on a web browser, Apple iPhone and iPad (running iOS 9 or newer), Android phones and tablets (running 5.0 or newer), Fire TV, Apple TV, and Roku. You can also stream Philo to your TV with Chromecast. The service offers a 1 week free trial to test the service. You can sign up for the free trial to Philo HERE. Philo will let you watch 2 days completely free, by simply supplying your mobile number. After 2 days of viewing, you need to supply a credit card to watch the remaining 5 days of the trial. Your subscription starts after the 7th day of the trial. However, if you cancel before then, you won’t be billed. For more details on the streaming service, please check out our review of Philo. At $25 per month, Sling TV is your next best option for watching BET without having a cable TV subscription. Sling TV has two channel package offerings. BET comes standard with their “Blue” package. However, if you like the channel offerings on their “Orange” package, BET can be added through their “Lifestyle Plus” add-on package. Sling TV also offers a 1-week free trial so you can try the service. All Sling TV Channel options work on Windows and Mac PCs and laptops, Android and iOS devices, Roku, Amazon Fire TV, Nexus player, Xbox One, and 4th Generation Apple TV. 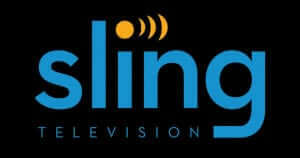 For more information on the service please check out our Sling TV review. BET is one of the channels available on AT&T’s streaming service DirecTV now. However, at $50 per month and limited channel offerings, it’s more of a third option. Check out our review of Directv Now for more details. You can use the BET Now App to watch BET live online or recent episode of your favorite BET shows. You can watch BET Now on the go with your Android or iOS device. You can also watch on your TV using Roku, Chromecast, Fire TV, Android TV, or Apple TV. You will need your TV provider login credentials. Philo and DirecTV Now credentials will work with the BET Now App so you don’t need to worry about not having cable TV.